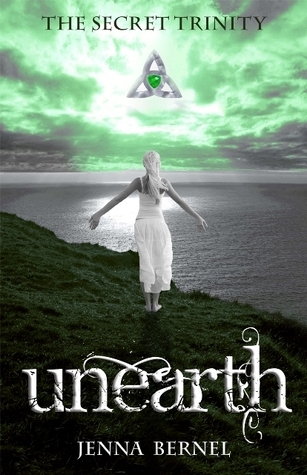 Unearth is a rather quick read centered around Aria, a new college student with some very odd abilities. The main focus of this book seems to be letting the reader get to know Aria outside of her ‘destiny’ and to form attachments with her and Liam, as the supernatural side takes a back seat until much later. The story itself left me sort of bored, but it’s easy to see the potential of it. A lot of you have probably heard of similar storylines, and I can’t say Unearth offers anything new to the category. For as short as this is it felt like it was much longer, as the story was drawn out and more focused on Aria and Liam’s relationship than anything else. And yes, the relationship does play a pivotal role in the overall story, but we don’t get to know any of that until about 70% through. At around 60% we begin to get some answers as to just what the ‘supernatural’ elements in this story are, but anytime before that it’s mostly just implied or mentioned. A few hand touching zaps and inferred floated, just didn’t cut for me unfortunately. The book does speed up towards the end, and we get more information in last 50 pages than anywhere else in the book and it was a bit much to add in all at once. I can’t say I felt anything towards the characters either. Aria is a super sweet girl, but she comes off as a bit of a mary-sue in some aspects and unfortunately is not a very memorable character for me. Her two friends were fun and a great support system, and I was happy to see that they were not just there for drama or to interfere with Aria’s relationship. So kudos to that! Liam seemed sweet as well, but he was also fairly one note even after more information is revealed later in the book. Overall the book was okay, but I didn’t feel myself leaning one way or the other when it came to the struggles Aria had to deal with. I think the fantasy buff in me was a bit disappointed with the shallow nature of the world and character building, and brought my enjoyment down. Image | This entry was posted in Book Reviews (2015) and tagged 2 stars, fantasy, new adult, review, young adult. Bookmark the permalink.